Pulling up on Montaluce Winery, you’d think you were some 5,000 miles away in a quaint Tuscan village. As you pull past the beautiful gate, you’ll pass stucco villas with clay shingles and the vines that grow the very grapes used to make the wines at Montaluce. You’ll also pass an organic garden which supplies many of the herbs and vegetables served at the gourmet restaurant. Gracing the top of the hill and overlooking the vineyards and pond stands the winery and restaurant. You’ll find the people in the restaurant and tasting room for a majority of reasons. Some are there for bachelorette parties. Some are there celebrating anniversaries or birthdays. Some arrive as a part of a tour group on one of several stops along the wine trail. Some are just locals who have simply stopped in for a glass to unwind and/or take a bottle home. Whatever their reasons, they’ve all ultimately come to experience Montaluce’s assortment of award-winning wines. If you’re interested in winemaking process, Montaluce offers complimentary tours on Monday through Friday at 2:00 pm and Saturday and Sunday at noon. 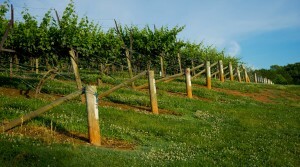 Learn a little bit about the history of the winery, the history of wine, the winemaking process, and the sciences of viticulture (the branch of horticulture relating to grape production for wine) and zymurgy (the science of fermentation). In addition to the fine wines and tours, Montaluce also offers great food and an incredible dining experience. Their diverse menu has many Southern-inspired dishes often with unique or even avant-garde twists. The dining room features floor to ceiling windows with views overlooking the vineyard and pond. However, the best seat in the house is the veranda. Enjoy a reprieve from the brutal Georgia heat of summer in the shade with a glass of their Sauvignon Blanc, or look out over the bare vines huddled around heaters with loved ones with a glass of their oaky and warming Sangiovese in winter. Whether you’re there to dine or just to have a glass, you’ll find that there is no bad time of year to enjoy that porch. 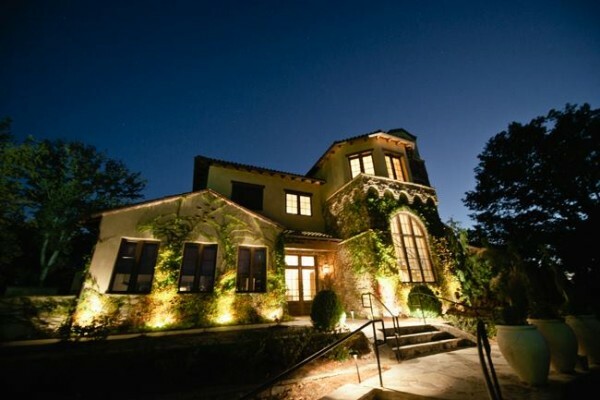 Montaluce is a great place to host a wedding, holiday party, or corporate event. However, special events aren’t the only proper occasion for visiting. Come to Dahlonega for a weekend or even a weekday getaway. Things move at a slower pace up here, and unwinding in Montaluce’s classy yet casual atmosphere is the perfect way to recharge. 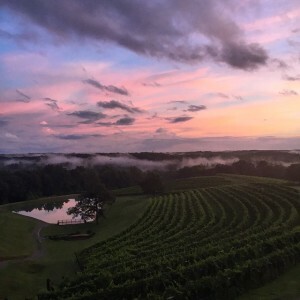 Long Mountain Lodge offers a winery lunch & tasting package and winery tour packages, which also includes Wolf Mountain, Three Sisters, Frogtown, Kaya, Cavender Creek, and Cottage Vineyard and Winery. Both packages include transportation so you can get safely to and from your destination. Book online or call the Lodge today to book your stay and one of our wine packages. 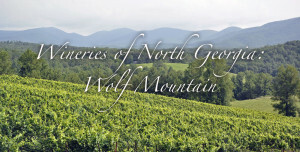 Check out the other Blogs in our “Wineries of North Georgia” series.